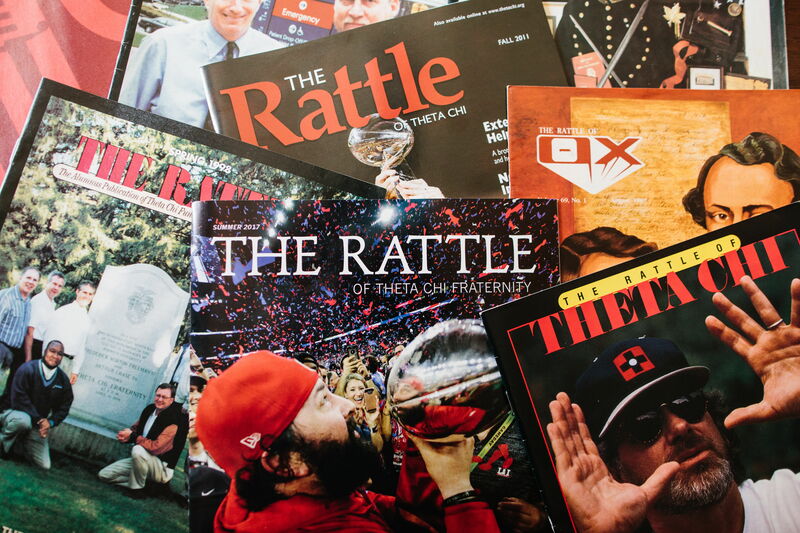 Continuously published since 1912, The Rattle of Theta Chi is the Fraternity’s official magazine. It is published two times per year- once in the summer and once in the winter. It contains a variety of stories pertaining to alumni and collegiate news, updates from the International Headquarters, and other topics of interest. If you have any questions, or would like to submit a story, please contact the Editor of The Rattle, Ben Hill, at ben@thetachi.org. *NEW* Access the latest Digital Rattle by clicking here. The online Digital Rattle offers links to additional content, the ability to share stories on social media, and many other features. If you experience difficulty with the Digital Rattle, please write rattle@thetachi.org. The Digital Rattle is best viewed on Internet Explorer 8.0 or higher, Mozilla Firefox 4 or higher, Safari 5 or higher, Chrome 10 or higher or on equivalent browser software. The Digital Rattle will be supported on older software, but not all features may be available. Minimal Browser versions to view The Digital Rattle are Internet Explorer 8.0, Mozilla Firefox 3.6, Safari 4.1 or Chrome 8.0 .